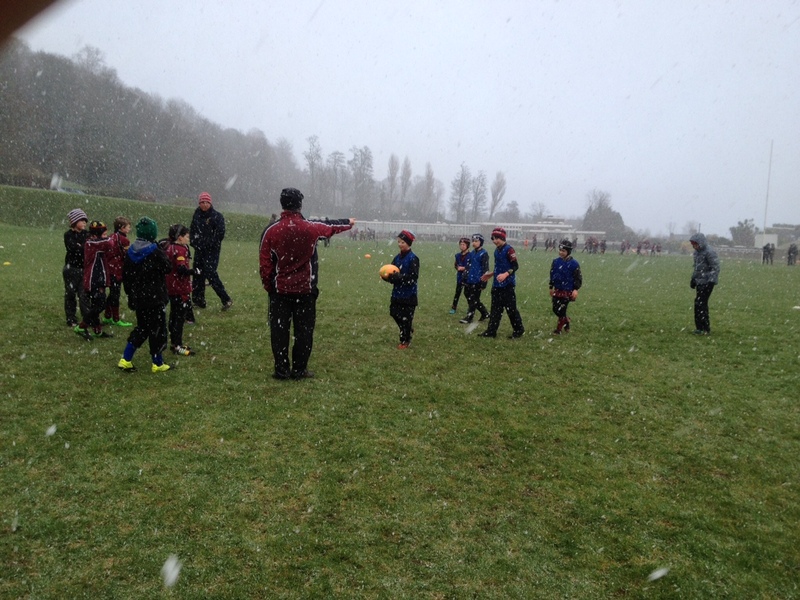 Academy Mini Rugby braved the elements at the Castle Grounds on Saturday 31st January. 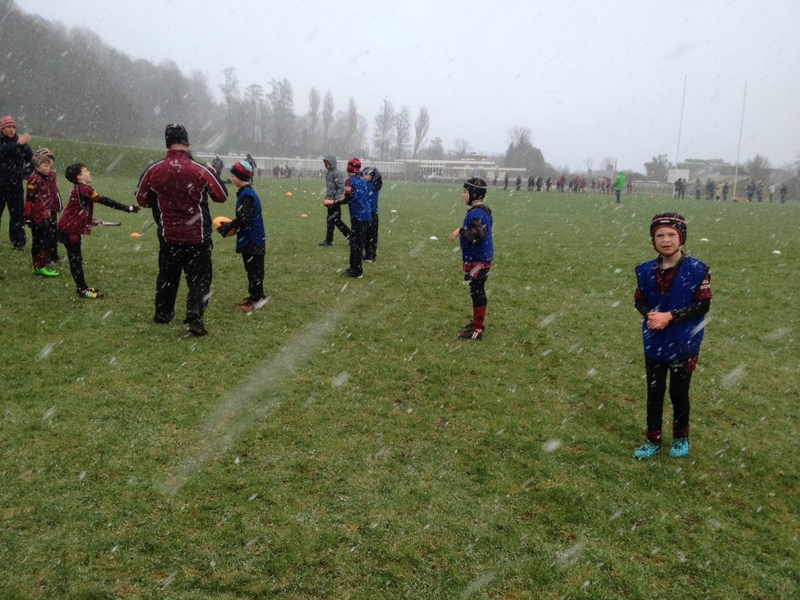 Helping with P1 & P2 coaching – Bradley Parry from South Africa it was the first snow he had ever seen! Academy P5’s – feeling the cold!